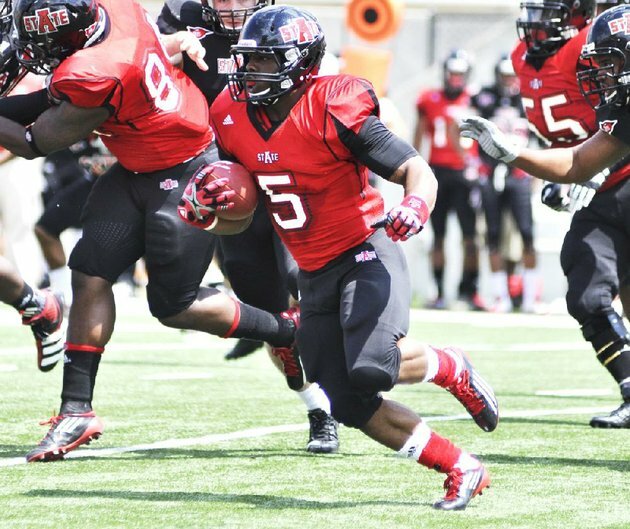 Michael Dyer's career with Arkansas State is over before playing a game. The university released a statement shortly after 7 p.m. Sunday evening announcing that the former Little Rock Christian and Auburn running back has been dismissed form the team for "violating team rules." "I am truly disappointed that it didn't work out here at ASU for Mike," ASU head coach Gus Malzahn said in a statement. "I wish Mike nothing but the best in the future." The release also stated that the university will have no further comment. 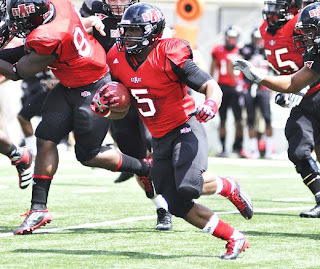 Dyer, transferred into the Red Wolves program for the spring semester and participated in spring drills. Recently, Dyer was denied a waiver from the NCAA to play immediately for Arkansas State and would be forced to redshirt the 2012 season. In his previous two seasons at Auburn, Dyer combined to rush for 2,335 yards and 15 touchdowns while helping the Tigers win the 2010 BCS National Championship. Malzahn was the offensive coordinator for Auburn in Dyer's two seasons on the team.